Heartworm disease in dogs is a silent killer that is often overlooked until it’s too late. This preventable condition starts with a mosquito bite and ends with either a long, expensive treatment or death. Symptoms may not appear until the worm reaches maturity (usually around 6 months). 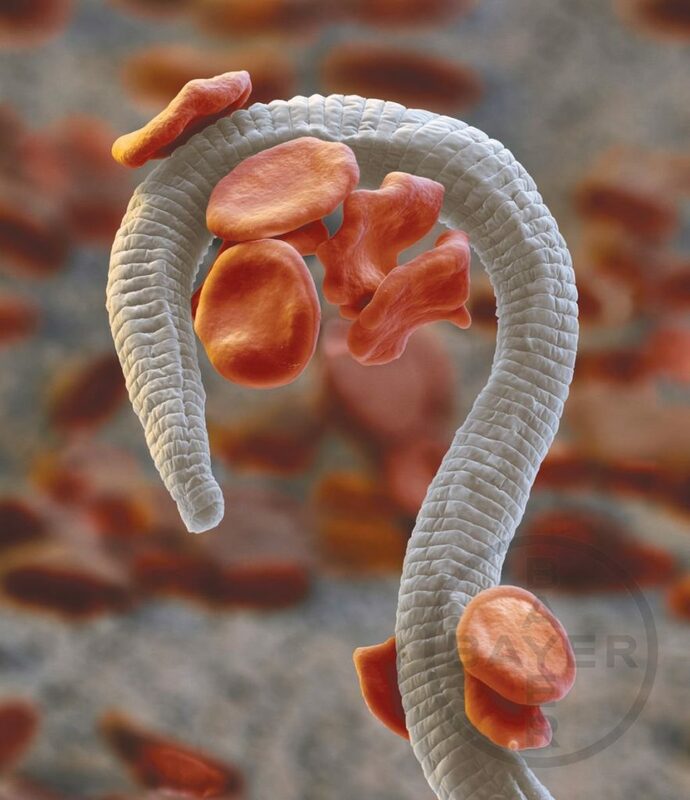 The parasites make their way to the lungs and start multiplying in the lungs and surrounding veins. Coughing may be most noticeable after exercise and may end with fainting. Even light exercise can cause fainting. Your pet suddenly seems tired more often, doesn’t want to go outside, or avoids all physical activity. Dogs with heartworm infection are weakened and find it difficult to be active even when performing small tasks. Along with coughing, breathing problems occur when the worms inhabit the lungs and surrounding veins. Fluid can also build around the blood vessels in the lungs, making it difficult for the lungs to oxygenate the blood. The ribs may seem to protrude, and the chest has a bulging appearance as a result of adult heartworm infection. This symptom can result from weight loss and anorexia caused by heartworms. This can also be caused by fluid buildup in response to the parasite’s presence. Large numbers of heartworms invade the heart and cause blockage of blood flow (known as caval or vena cava syndrome). Collapse is usually accompanied by shock and red blood cell destruction. Death can follow within days. Some of the symptoms above can also be signs of other conditions, which makes it more difficult to detect heartworm infection. There are other tools used by vets to detect the condition more accurately.